Adelaide was one of my favorite overall stops on our Australian holiday, mostly because we got to spend a couple days with our friends who live there. The side-benefit of having local tour guides not withstanding, it was great to see them and their hospitality was really and truly appreciated. There’s no way we would have seen the things we did if it weren’t for them. 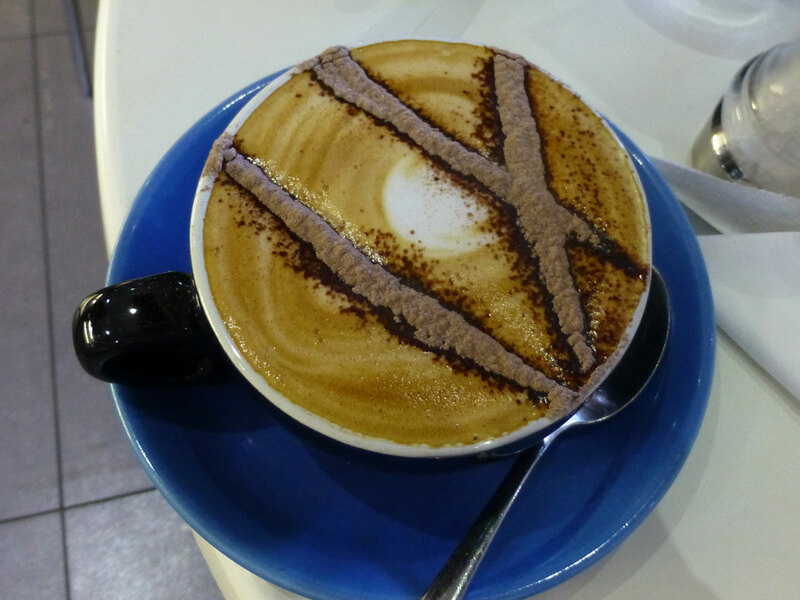 For example, we learned that you can get a good cappuccino anywhere. Literally, anywhere. Convenience stores, gas stations… they all have full-on espresso machines like you’d find in your favorite coffee haunt. I’m not sure I’d ever had a proper cappuccino in the States, but it’s my new favorite beverage. 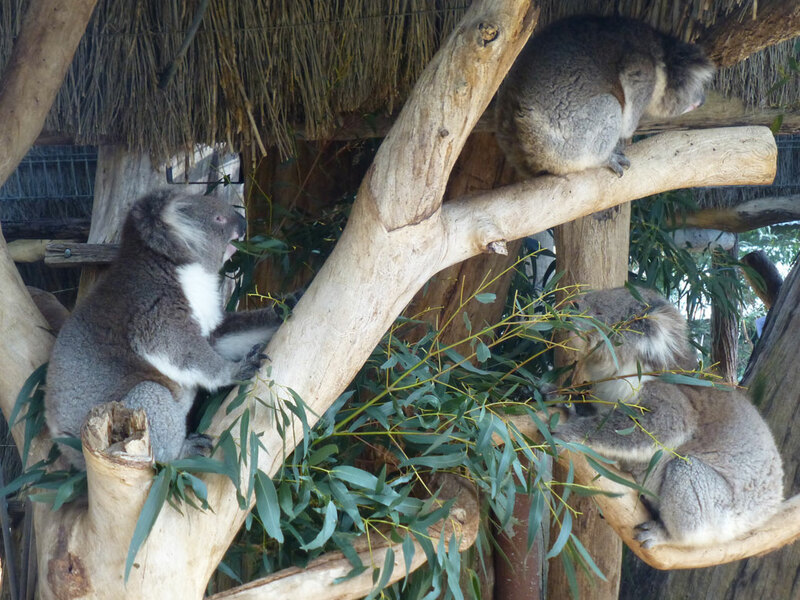 We were treated to a day at Cleland Wildlife Park, which was an amazing experience. The park aims to create a sustainable, natural environment for its resident animals with very few enclosures. 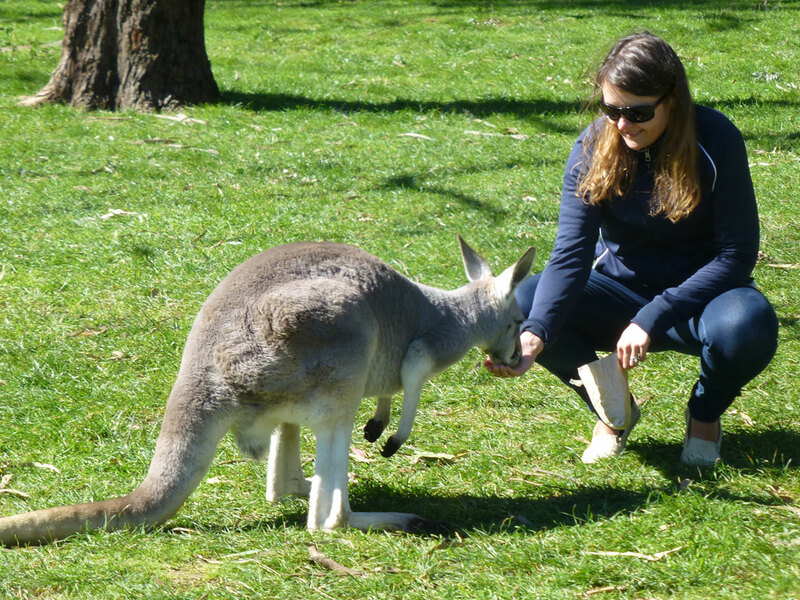 As you wind through the park, you’re able to interact directly with kangaroos and wallabies, who eat park-provided pellets right out of your hand. While we were too early to hold a koala (!!! ), we did get to pet Arthur the Koala and pose for a picture with him. 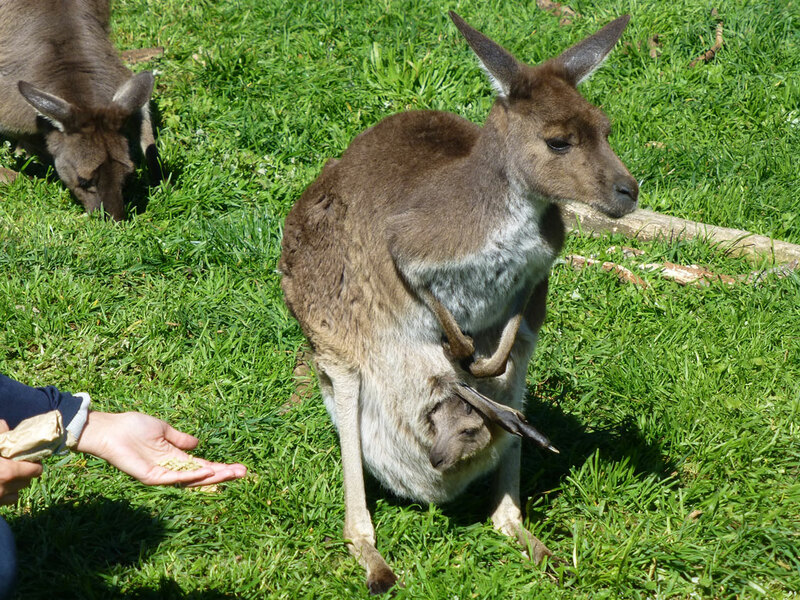 We watched in awe as baby kangaroos and wallabies tucked into their mothers’ pouches. A group of school children were visiting the park as well, raising my stress level if not that of the animals. They giggled with joy at the baby kangaroo who had unwisely left its mother’s pouch. As the kids chased after it, the baby roo did some fancy maneuvering, hopping in a large circle until it had shaken its pursuers and dove safely back into mom’s pouch. 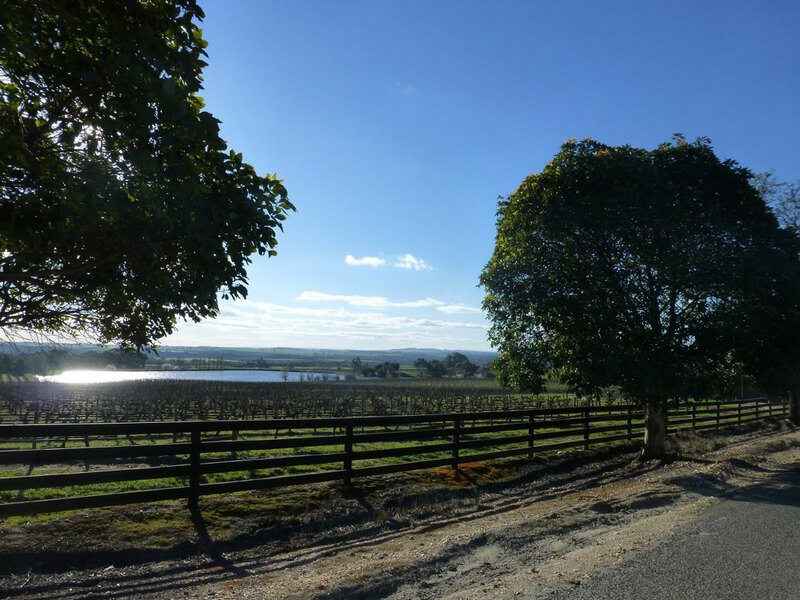 We stopped at two vineyards before the sun set on the Barossa. Grant Burge’s winemaker was recently named the 2014 Barossa Valley Winemaker of the Year. They were generous with their samples, but our favorite was definitely the 10-year Aged Tawny Port. It might be worth another trip to Australia just for one more taste of Tawny. We also visited the beautiful Château Tanunda Estate. Our hosts sneakily bought us a bottle of their Nightwatch Sparkling Shiraz, which now awaits a special occasion in our refrigerator. 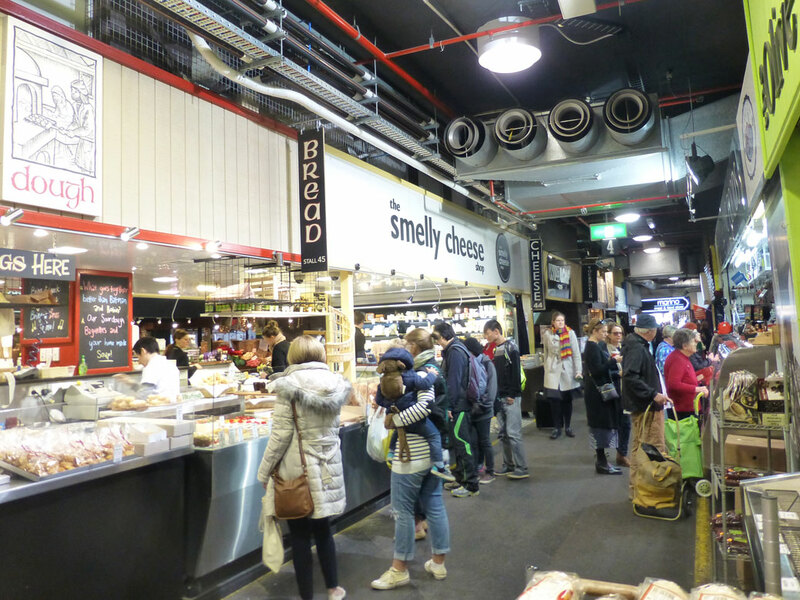 On our last morning in town, we had breakfast at a cafe in Central Market, a public market full of local produce, bread, meat and treats. We gasped in horror at local specialties like kangaroo chorizo and croc sausage, sampled a funny little tree fruit called mangosteen and grabbed a couple deep-fried Russian piroshkis for the road. We really can’t thank our wonderful friends enough for taking a couple days out of their lives to lug us around Adelaide. It was a trip we’ll remember for a lifetime.